I don't know where to start with this. Somewhere it said that it was full of 'exciment fasciration'. Well, what more can one ask for in life? 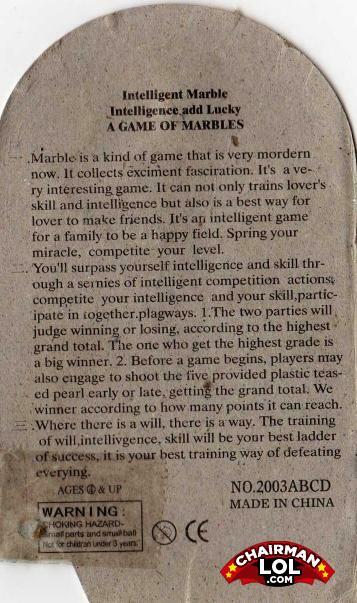 I want to play with my marbles now! The Japanese translation of the Ten Commandments didn't turn out so well. The fortune cookie guide to playing marbles. Q:What are black basketball players good at?